Mechanical CAD software programs do not have to be difficult or expensive. Get professional CAD results without the hassles or expense of other programs. 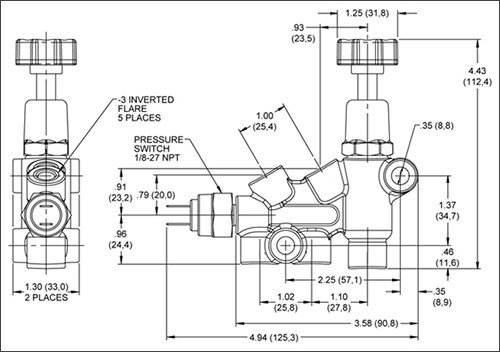 Create precise mechanical drawings of any kind with professional results every time. CAD Pro’s mechanical drafting and design software is powerful and easy-to-use. Get started quickly with symbols and examples that are easy to customize to meet your specific needs. Bring mechanical drawings to life quickly with powerful computer-aided design tools. Quickly create custom symbol libraries to fit your mechanical drafting needs. CAD Pro mechanical drafting software produces presentation-ready results for both the beginner and the expert. Quickly add your mechanical symbols, and precisely connect them using Cad Pro’s automated snap tools for perfect alignment and see your design turn into a professional mechanical drawing that is ready to be printed, shared online, or exported to Microsoft Office®. Common mechanical symbols and their proper use can assist you in the creation process of your mechanical drawings. CAD Pro includes a variety of pre-drawn mechanical symbols which save time and money when creating your mechanical drawings. If needed you can quickly create your own mechanical symbols save them as a mechanical symbol for future use. Also, create Custom Clipboard Files which contain your custom mechanical symbols! One of the biggest decisions to make when setting out to purchase a mechanical CAD software program is which software to purchase. It can be tempting to simply choose an industry leader, but you may end up paying too much for a product which doesn’t suit your style or have the cad software features you need. Determining which CAD software to use can be a tricky process. There are a lot of choices that doesn’t always help you understand your full options. Not to mention, software is an expensive tool that is essential to your work. You need the right tool for the work you do but you also don’t want to spend money on architectural cad software features you’re not going to use. With CADPro’s mechanical CAD software programs, we aim to give everyone the power to quickly design and change product concepts without having to learn complex traditional CAD software. Results include faster turnaround times, zero investment on training with new CAD software.